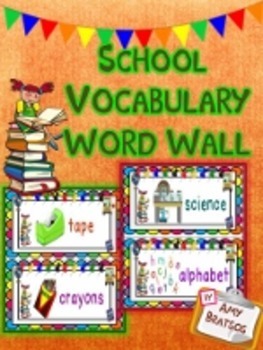 This school-themed collection of word wall vocabulary cards is perfect for your “back to school” primary classroom! 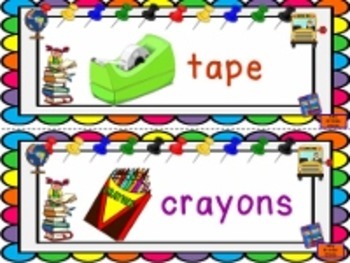 The bright, rich colors, bold & simple primary font, & kid-friendly graphics on each word card provide you with an attractive, ready-made bulletin board display with lots of interactive literacy learning potential. Please take a moment to check out the preview - both of the resources mentioned above, as well as 3 sample pages are included to give you an idea of the product contents. 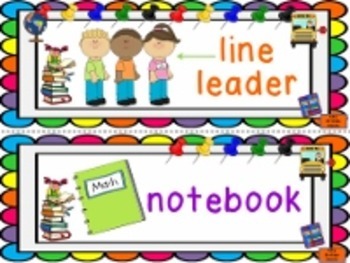 If this product looks like material that would fit the instructional needs of your students, you may like to take a look at my store, which features K-5th grade products in a variety of subject areas-click on the link below. Thanks for your interest - don’t hesitate to contact me with any questions you may have! 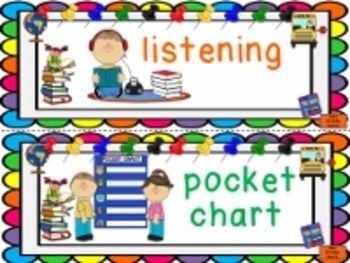 Back to School Vocabulary Word Wall Bulletin Board Display Cards by Amy Bratsos is licensed under a Creative Commons Attribution-NonCommercial-NoDerivatives 4.0 International License.